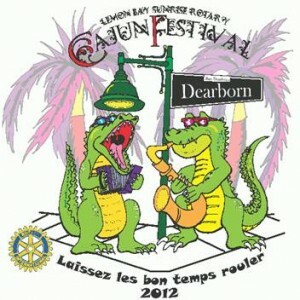 Fourth of July Cajun Festival! Laissez les bons temps rouler! That’s Cajun for “Let the Good Times Roll!” and good times will be rolling along Englewood’s Dearborn Street this Fourth of July. Created by Lemon Bay Sunrise Rotary, Cajun Fest features everything Cajun with food, beverages and activities. Festivities begin at 10 a.m. and roll into the evening with spectacular fireworks over Lemon Bay. A cajun style procession starts the day. At noon the Gumbo Boogy Band will have the audience rock’n, followed by the Naples Dixieland Jazz Band. There will be fun for the whole family. A kid zone, craft vendors and lot’s of food. From crawfish, jambalaya, red beans and rice, boudan (cajun sausage) to gumbo, the many flavors of cajun cuisine will be covered. Hamburgers and hot dogs will be on hand to help celebrate the 4th the American Way! And cold drinks will be flowing to quench one’s thirst. FREE Admission. Donations accepted. LBG will see you on Dearborn! Follow this link to the Lemon Bay Sunrise Rotary site for more information, to see a listing of the many vendors, and to make a donation.